If you have questions about dental care, like "How much does going to the dentist cost?" or "Why do I need dental x-rays?" we have answers. 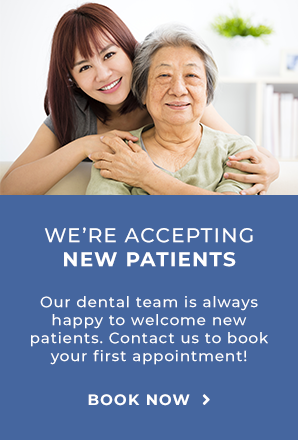 See below, or give the Markham Steeles Dental Centre a call! How much does a tooth cleaning cost? Our fees are within the Ontario provincial fee guide, and reflect the experience, training and skills of our dentists. The cost of your treatments reflect the time, materials and care involved in performing the procedures you need. At Markham Steeles Dental Centre we accept most major insurance plans, and are happy to discuss the cost of your treatment with you in advance. How can I reduce the cost of my dental bill? The best way to make your dental visits cost less is to keep your teeth and mouth healthy! Good oral health routines will help prevent tooth decay, cavities and gum disease – and the more expensive treatments that go along with them. Regularly brushing and flossing your teeth at home and visiting the dentist for preventive hygiene appointments – including teeth cleaning and fluoride treatments – can keep you from needing more invasive, and costly, dental treatments later. At Markham Steeles Dental Centre we use dental X-Rays to look at what is happening with your teeth underneath the surface. Dental X-Rays allow the dentist to get a fuller picture of your overall oral health. They also provide a baseline and reference for any changes to your oral health over time. If our dentists recommend X-rays to you, it is because they feel there is reason; either some damage, infection or decay that can only be seen with an X-ray, or because they want to be able to monitor your dental health over time. The cost of dental x-rays can be covered by your insurance, and we are happy to discuss fees with you in advance. Why should I use fluoride? At Markham Steeles Dental Centre, we use fluoride treatments to prevent tooth decay. Fluoride is a mineral that is naturally present in water and soil. It helps protect your teeth by preventing the enamel decaying. It is especially important if you are at risk of developing cavities. Dental cavities are cause by a build up of plaque and bacteria weakening the enamel of your teeth. Fluoride can help keep your tooth enamel strong. The cost of dental fluoride treatments can be covered by your insurance, and we are happy to discuss fees with you in advance.